This post was published 7 years 3 months 23 days ago which may make its content inapplicable to the current Islanders roster and/or team news. This site is not responsible for any misunderstanding. This has been a tough season. 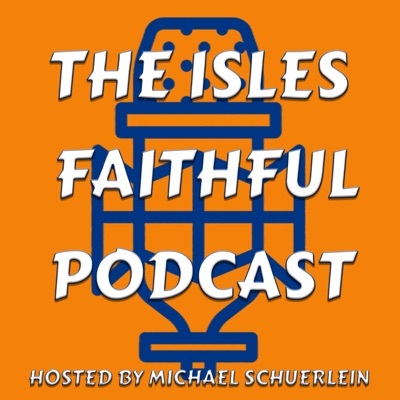 Not just for the New York Islanders, but – for those of us who follow the team and more importantly, TRY to blog about them. All too many times, I’ve started a post – felt like I have been repeating myself or just don’t have anything positive to add and either quit or delete it completely. I don’t get paid to write – this is something that I did because I enjoyed watching (and playing) hockey and I liked writing even more. When you’re a fan and a blogger (a Flogger? No – that’s something completely different…) this task becomes even more difficult the worse the team does, or the more frustrating things around the team make you. I’m going to make a huge admission here on my blog; I do not enjoy watching this team as much as I have. It’s to the point (for several reasons) – I discontinued my Season Tickets over the summer. I can honestly say, I have not missed them. I watch the games on TV and I yell at the team as if I am at the arena, or even better – I change the channel. That’s exactly what I did when the Islanders got shutout for the seventh time this season on Monday. Sure, the Rangers are a better team – but that’s besides the point. The Islanders have not done a heckuvalot to improve. The team has struggled to score at even strength, at times even seem unable to hit the broadside of a barn. This season isn’t all to different from the last up to this point, being a point or two off of their record from that crazy November skid and the goal differential is almost identical. How is that improvement? How is that COMMITMENT? This is what you do for Islanders fans on their 40th year of existance? I know this sounds like one gigantic vent – and it is, maybe because I rarely use my blog to lament on the stuff surrounding this team but I cannot hold my breath any more. Something needs to give, waiving a Blake Comeau is not the answer. That said, at this junction there is nothing about this season that is salvageable – it’s another year chalked up to the rebuild. Get this years number one and call it a day. But no, we have the huge question mark of where the team will play or even if the team will stay on Long Island forever looming over our head. Too many questions, too many variables. In any case, the Islanders are taking on the Calgary Flames tonight at the Coliseum. It’s a meaningless game in that it’s a Western Conference team – but it’s a chance to earn two points and break out of their funk. Nabakov is in net, and according to Arthur Staple of Newsday – there are some possible line changes tonight. If the team comes out and has a strong first period anything can happen. If they allow a goal in the first few minutes, they’ll likely chase the remainder of the entire game – and we know how that ends. How about a change at the top 2 positions under the owner? Lets get an experienced GM and an NHL experienced coach. Its time to stop promoting from within. Lets bring in some outside help to change this culture. Every year we hope to be good enough to just to squeak into the playoffs and it does not happen. As a huge(ahem) hockey fan its tough to waste money to see these guys play because i have no confidence on any given night they will win. With that said they are playing a decent game tonight. Need to show me more heart though. That won’t ever happen – what we see is what we get. Yes, a good victory and now another chance to string a few together and create some positive momentum. I agree there ought to be a change in management as the current admin has done little to change the fortunes of this team and develop thier players into dominant forces on the ice. I can’t help but wonder if JT91 would be living up to the “NEXT (insert superstar name)” tag if he was being coached elsewhere. Nonetheless, they continue to look backwards and skid forwards. I can certainly appreciate the history and will enjoy the Ken Morrow induction to the NYI Hall of Fame tomorrow (BTW it’s on MSG Network and not MSG+). Perhaps it might even inspire the players to win two in a row. Interesting way of wording things “look backwards and skid forwards”. If JT and Okposo continue to click – that line should heat up again. I love how Okposo takes some pressure off Tavares. His game winning goal is what I want to see more of.